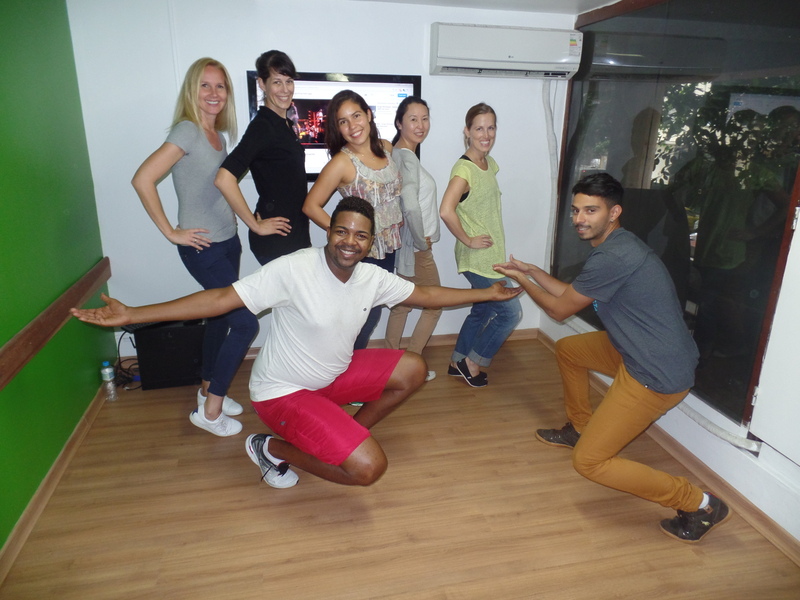 Samba day - Learn Portuguese, discover Rio - RioLIVE! Castro had us dancing samba in minutes. He was easy to follow and he created a small routine for us to learn. Was some big samba in a tiny room! 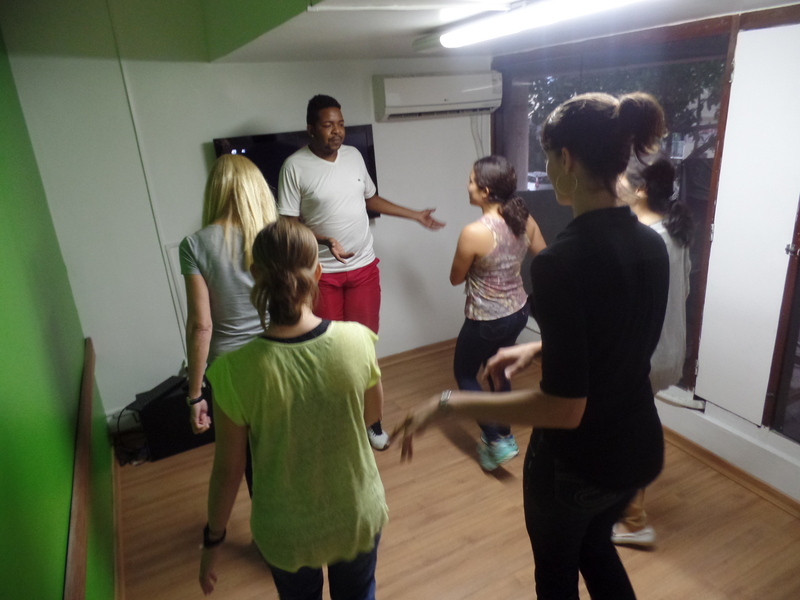 Yesterday, we had a samba day at Rio & Learn. Our RioLIVE! activity was full of fun and dance. Everybody knows the Samba is a very popular rhythm of Brazil, but is not only a kind of music, it’s a piece of the brazilian culture too. So, to learn how to dance samba is a very nice and interesting way to act like cariocas. So, the instructor Castrinho taught us in a very funny class. 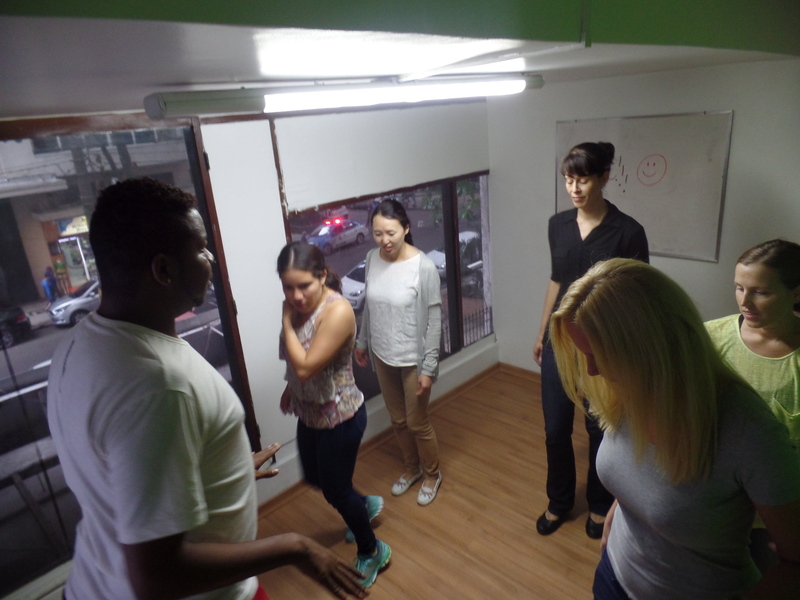 At the beginning, the students started to dance in slow movements but they increased the speed and skills quickly. 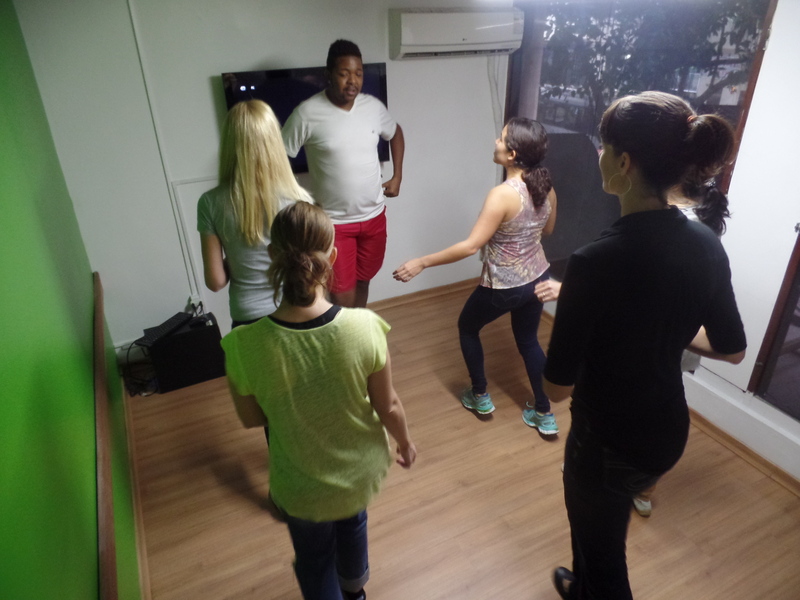 Certainly, it is not easy to dance samba at first time, but practicing a lot was the best way to learn the basic skills. 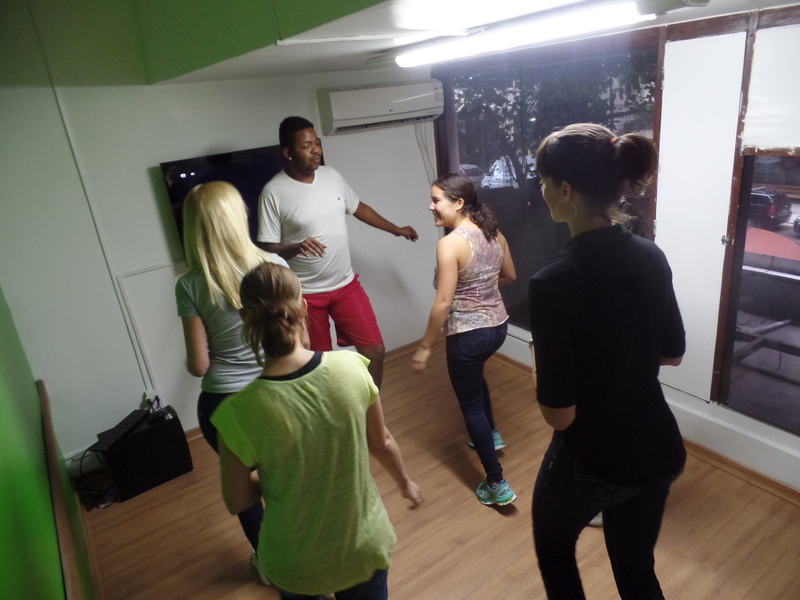 In addition to it, with this class, besides the learning, they had the opportunity to know how fun dancing samba is. After that, all the students enjoyed too much. Now, they really knows “sambar” and are ready for the next carnival.